Do you know what panel curtains are?! 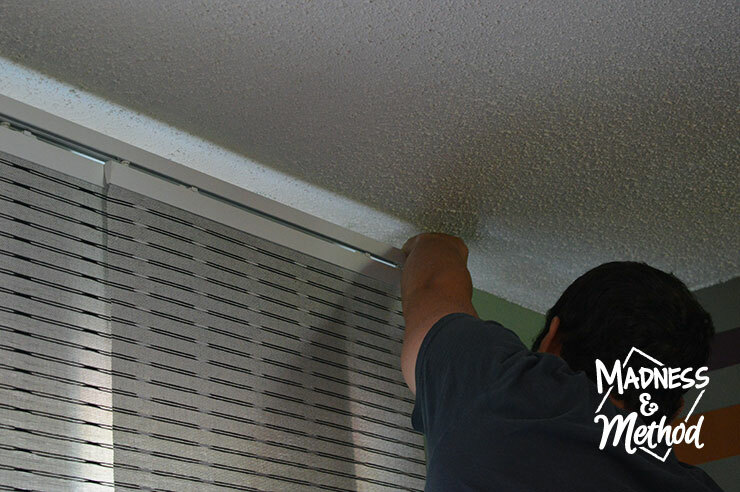 They’re super handy for different areas, and here are some DIY tips if you are planning on installing panel curtains. 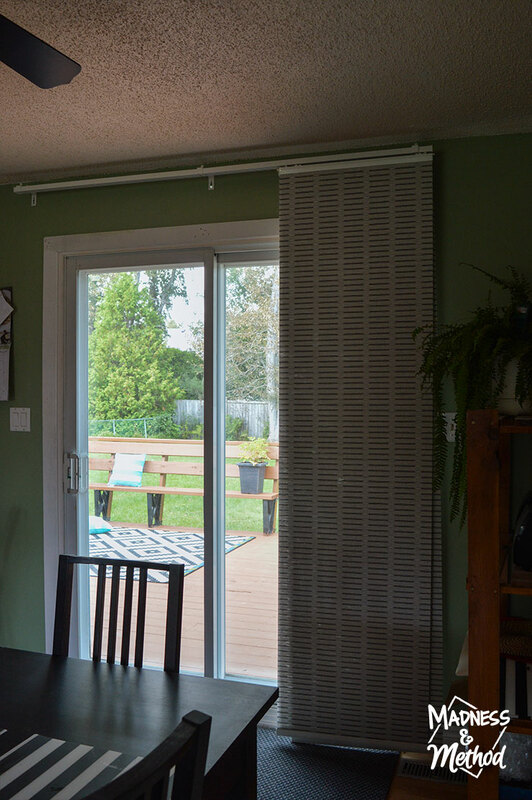 We recently installed some new (regular) curtains and panel curtains in our living/dining room, and I wanted to give a couple of tips in case you are planning on installing panel curtains yourself. 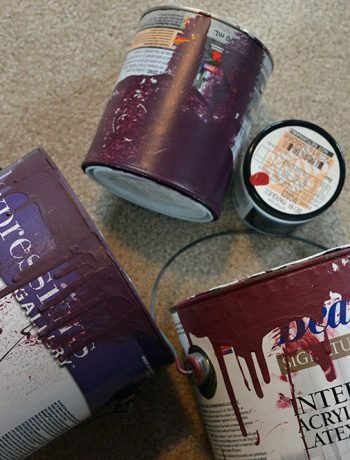 We actually have a different set as “doors” in our master closet, but these were a bit different (and I have some pros and cons for both!). 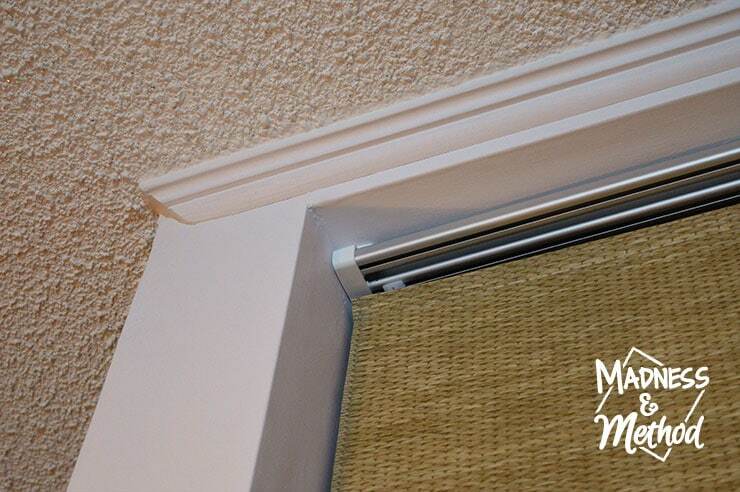 But first, you may be wondering: what are panel curtains!? So hopefully I’ll be able to help you out (since I had no idea myself!). 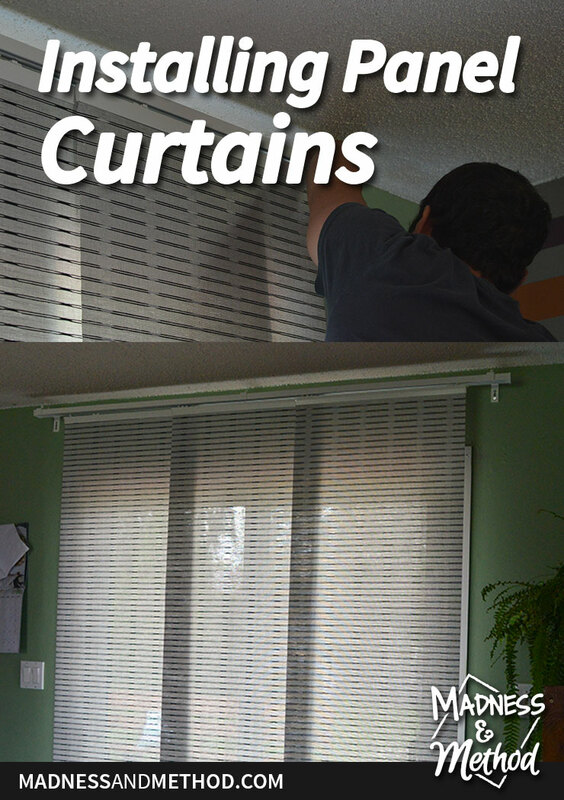 Panel curtains are literally curtains that are in large panels (rather than small slats, or big sheets). They’re usually a stiffer material, so wouldn’t look as soft and flowy compared to traditional curtains. 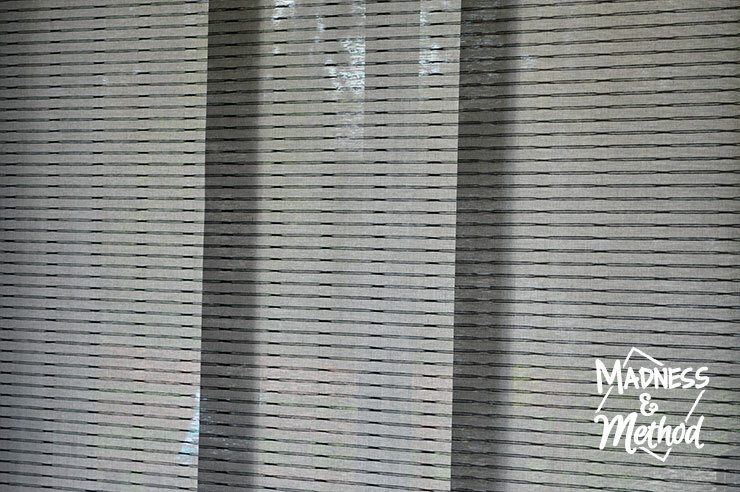 They’re kind of like vertical blinds, but instead of having a bunch of little slats, you have just a few big ones. When we renovated our master closet, I scoured the internet for some sort of sliding door that would work for our space. 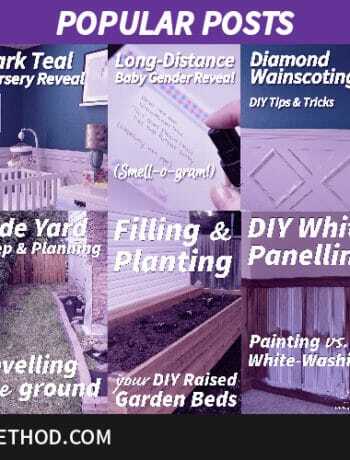 I stumbled on these Chicology Kansas Ginger Sliding Panels, and they were the exact solution that we needed! The Husband and I installed those panel curtains a couple of years ago, and they’ve been working fine ever since! (Although, we did have to adjust one of the panels because it was slipping out of the track, but that was our fault on install apparently). 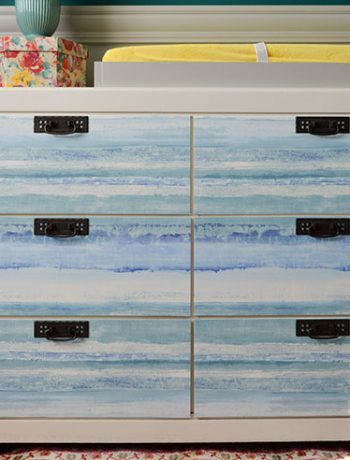 While I was browsing Ikea for some curtains for the living room (scroll down to the bottom to see what they look like! ), I came across a whole section for panel curtains. 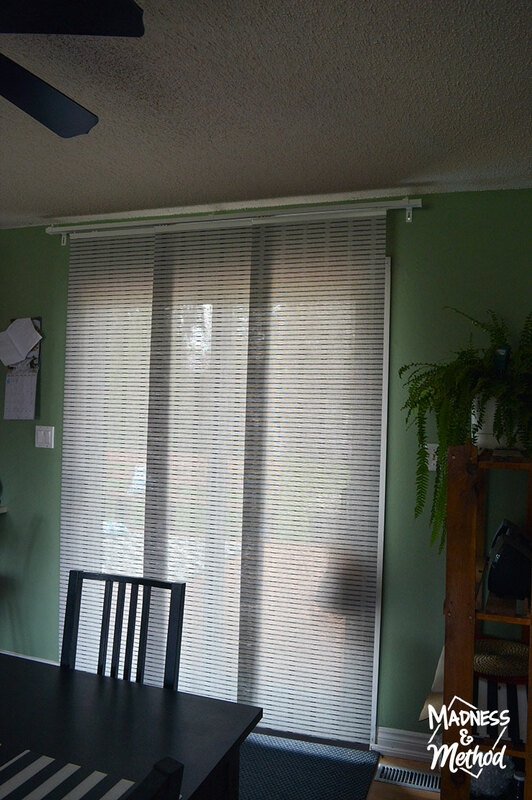 I decided it was finally time to upgrade from the vertical blinds in our dining room (that came with the house) and figured panel curtains would be the perfect solution for this area. 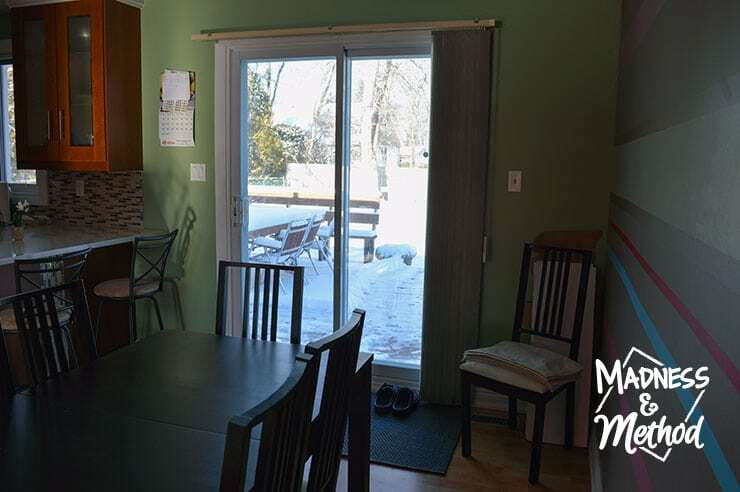 PS: The photo above is from our living/dining room tour from 2 years ago! Notice the snow on the ground, pieces of wood from before I fixed our shelf, and broken chair? Anyways! 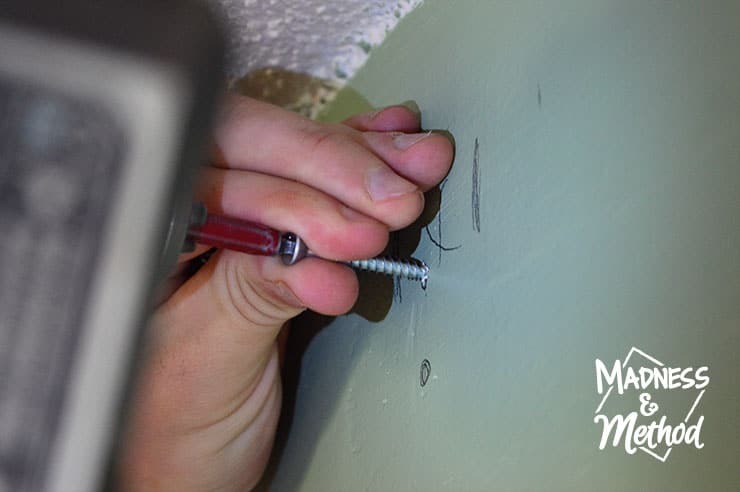 Once we removed the old blinds and hardware, we marked out the studs and started installing the curtain rail for the Ikea panels. We went as close to the ceiling as possible (you can always install it on the ceiling too if you wanted). Because we were going across a large span, we had to attach two tracks together at the center. Unfortunately, there’s not really a way to really secure them together, and I feel like it can easily come loose after a few uses (or one big tug!). 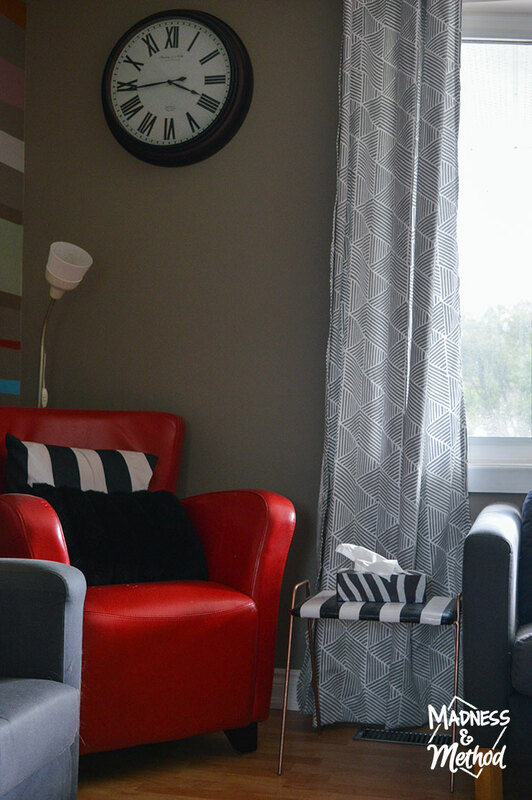 I debated getting this lighter panel curtain, but ended up getting the good ‘ole Lappljung pattern instead. For the Chicology panel curtains from our closet, it was much simpler to cut the panels to length and install the bottom cover piece. The Ikea ones were much longer (which would be good if you had a taller space) but it was really tricky to get them on the tracks (you had to roll it and the clamps weren’t very tight). One of our panels is a bit longer than the other, and I’m sure we’ll fix it eventually ha! For the most part, we keep the panels completely open, and that way we get as much light from outdoors as possible. 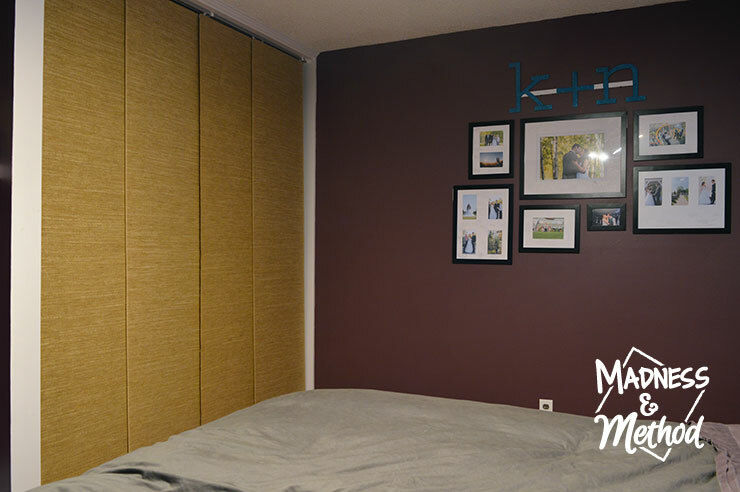 You can set your Ikea panel curtains to have as much overlap as you want when they are closed, and essentially you can control the point when pulling on the first panel starts to drag all the others. When they’re closed, the lengths are actually better (since our house isn’t level), but I don’t think it’s anything people will worry about. (PS: I hang a bag for old batteries and lightbulbs I have to recycle on this door, and you can sort of see it!). While I really like the pattern options for the Ikea panel curtains, I felt like the ones we bought on Amazon for our closet were sturdier. I’ll let you know how they fare over time, but considering we almost never touch them, they should last a long time! I hope you have a better understanding of how to go about installing panel curtains, and a bit of the pros and cons for some different types. I got a set of these light white/gray Nunnerort curtains, and it really makes everything look bigger and brighter compared to the red ones before. Oh, and in case you think I sewed them to the correct length… I totally just Heat N Bonded’ em!